﻿﻿Sasha Zeilig﻿﻿ is a generative artist, coach, entrepreneur, and activist who has professionally acted on stage and camera , directed, produced, and founded performance organizations in the USA and Europe. She has created interactive events with children, teens, and adults. She has a BFA in Theatre with an emphasis in voice and speech from Cornish College of the Arts in Seattle. 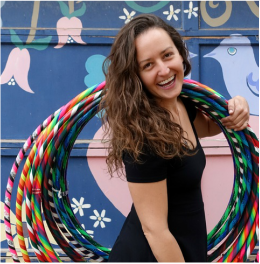 Sasha is a Hoop Dance Instructor, JourneyDance Guide and Ritual Facilitator. She has hosted myriads of communal events because she believes in making the world a better place through play. This is why she has also recently fallen in love with acro-yoga. Currently, Sasha strives to create interactive improvisational experiences for her participants in whatever framework she is utilizing to impart values of sharing, friendliness, community, creativity, ecological consciousness, and of course, fun! She believes in acceptance, equality, and the ability of people to live in harmony with each other while also living within their own true nature. Sasha believes that play is the easiest way to delve deep. 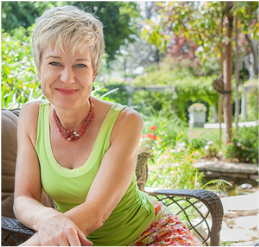 As a transformational therapist , international workshop facilitator, speaker and author Tarnie is passionate about supporting women in creating the change this world is craving. She knows women are powerful, dedicated and courageous. She also knows they often live with unresolved or reoccurring pain. For over 25 years Tarnie has been healing, mentoring and empowering women, through the wisdom and intelligence of their body, to access the confidence, sensuality and vitality they have been longing for. Tarnie’s particular focus is mentoring women in leadership roles who are suffering from reoccurring or unresolved back and or neck pain to heal the root cause and find lasting pain relief. Today Tarnie is standing as an empowered woman’s leader who creates great service in the world without having to deplete herself. She believes it is every woman’s sovereign right to be standing in the full embodiment of who she is. Turning the Wheel is a national nonprofit that has touched the lives of over 80,000 people in more than 1000 very diverse schools and organizations around the country. Turning the Wheel uses the power of art to build healthy communities, foster leaders, and share the joy of self-expression with participants of all ages, economic situations, genders, ethnic backgrounds and challenges. We bring interactive and experiential arts programs using a unique model that builds our participants’ confidence in their own and each other’s creativity. Our programs build over a period of hours, days, weeks, semesters or a full year, so at the end of our time together, participants have joined their talents and visions to create a special performance for their peers and families. Kataka Gara is the Founder of We Heal University and has been a Reiki Master Teacher and sound healer for over 30 years. She has taught Reiki, sound healing, marketing and small business concepts all over the world to many students; including the National Holistic Institute and Trinity College of Massage. Kataka was the first Reiki Master healer for the St. James Infirmary, an occupational safety & health clinic in San Francisco, CA. As a professional musician, singer and performer (playing over 50 instruments) she discovered she could “funnel” Reiki energy through her music, allowing her audiences to sense the healing effect and drop deeply into their hearts. Master Kataka specializes in the rare and mysterious Hang instrument. She helps students and clients by using Reiki Mastery and Sound healing music, so they can create the life they envision. ​Krisztina is a visionary artist, ritual performer and healer. Having studied the mische technique with some of the greatest visionary artists of our time, she teaches the technique herself. The mische technique allows an artist to create an image out of highlights and transparent glazes, rather than shadows and outlines. This transforms the world we see into brilliant light and glowing colors that lasts well beyond just working on the canvas. She’s taken this technique and adapted to several forms of healing through the art making process, creating mandalas and magic images that continue to inspire this new way of seeing. Coming from a background of yoga, meditation and visionary journeys, Krisztina combines the teachings from a variety of sources, focusing her energy on awakening the voices of our inner gods and goddesses. Through performance and ritual she channels these energies that live within pop culture and transmutes them into timeless archetypes. Through painting and performance, Krisztina creates a unique visionary world combining myth, storytelling, science, dreams and contemporary culture. She lives and works in Oakland, California with her two parrots and cat who are her constant companions. She is available for private healing art sessions as well as group classes. Sukey K Briggs was born on the Mojave Desert, an ecosystem of relentless sky and haunting beauty. 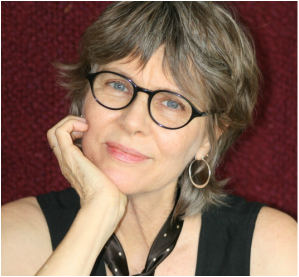 Her late-'60s college education kicked her into fermenting US unrest and began a writing career: there was a lot to write about; there was a lot being written, ranted, grieved. Ten years after the birth of her son, she garnered degrees in English, studio art, transpersonal psychology, and three CA teaching credentials. These were stepping stones across careers as an English and art teacher, learning specialist and writing circle facilitator in Santa Barbara, copyeditor, graphic artist, and currently as the assistant to a 95-yr-old hotshot xeriscape artist.She lives in the Sierra Nevada foothills in a village without stoplights. Sukey facilitates women's writing circles. She aligns her prompts with the cycles of female life and the rhythm of the natural world. It is her experience that the words we write in circle reveal our hearts and can heal our spirits. She invites you to join a write-of-passage with SSGG women. 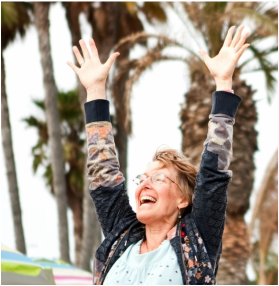 ﻿Certified yoga teacher Nancy Ivey has been teaching yoga for more than 20 years and emphasizes an alignment-based, postural yoga practice. Trained in vinyasa flow, Nancy guides her students to enhance their respiratory capacity and increase their awareness about how they are moving in space. After studying meditation with Zen and Tibetan monks Nancy appreciates the numinous neuroscience behind meditation and activates the experiential centers of the brain through a mindful yoga practice. Nancy also resonates with the Ayurvedic conception of “agni” or “digestive fire” and utilizes the tools of hatha yoga such as bandhas, mudrasand kriyas to teach students how to strengthen the digestive fire and generate prana in the belly. With graduate degrees in Religious Studies Nancy understands the cultural roots of yoga in ancient India and alludes to this heritage throughout her classes. Adriana is a creative wild woman and co-founder of Awakened Feminine, an offering for women committed to transformation and supporting each others empowered living. Her passion is in helping women connect to the sacredness of their bodies, heart voice and the healing power of their souls through yoga, meditation, writing, dance and kirtan. 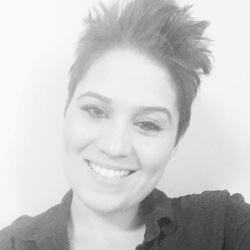 Adriana is a yoga teacher, Reiki master, intuitive body healer, kirtan singer, hairstylist, and works privately mentoring and empowering women through yoga, meditation, energy work, voice work, and feminine spirit guidance. She passes her years of yoga training in the wisdom and mystical traditions of India, her own personal transformation, knowledge, and love on to her students through her private sessions and workshops, writings, kirtans, retreats, and online training courses. She supports women in sobriety and getting in touch with their innate power to heal and create freely. Find out more about Adriana on Facebook and Instagram @artofloving! Kimberly Sherry is an International Energy Healer, Speaker, Author, Spiritual Mentor, and Money Energy Expert. Kimberly has 15 years experience in the financial planing world, owned and operated Marin Floor Company, and spent 12 years training at Aesclepion Intuitive Healing Center. Over the past 17 years, Kimberly has helped thousands of people release their hidden blocks and fears. Today she has a gift and a passion for connecting world changing women to the power of their money. * Money Blocks of 6 Figure Women…(Even Your Financial Planner Doesn’t Know) Kimberly shows you how to change your relationship with money to find more peace of mind, attract more money without hard work. Helen Miller Lynch is a Swedish certified X-ray technician and nurse specialized in cardiovascular interventions, who has during the last years focused on teaching yoga. She has International certifications as MediYoga Teacher and Therapist, Mediyoga Instructor for Stress and Burnout Syndrome and MediYoga Instructor for Young Adults and Children with special needs. She is a member of IYAT- the International Association of Yoga Therapists IAYT800 & RYT500, and MediYoga Educational Director for USA. Furthermore, Helen is a certified Gong Yoga Teacher and Reiki practitioner.Started integrated MediYoga in to the American health care 2014/2015.Currently working together with AIS Cancer Center at The San Joaquin Community Hospital in Bakersfield California, Aging & Adult Service of Kern County, California, Kern Valley Healthcare District, and The Kern Valley Hospital Foundation. Co-Founder MYS (Medical Yoga Sweden) of California Inc.